This contemporary chair from CorLiving celebrates style and comfort in a modern design. This finely upholstered chair delivers reliability through the durably crafted wood frame, while generous foam and fibre batting cushion provides the ultimate in comfort. The four sturdy legs give the chair grounded stability and the padded, slightly angled backrest makes it a treat to lean back and relax in style. The removable backrest allows this chair to be more easily moved through door frames. Colton Vintage Chair instantly sparks interest via its easy-care button tufted brilliance fabric that features an heirloom style sheen .Features include deep espresso legs and a foam seat cushion for comfort. Vintage nailhead accents stand out in this modern accent chair.Minimal assemble is required , just attach the legs and you are ready to go. Add a touch of contemporary sophistication to your decor with these inviting accent club chairs from the CorLiving Collection. Easy to wipe clean, this pair of diamond tufted white bonded leather chairs with gently curved arms are durable and will provide comfort and modern styling to your space. Features strong wood frame construction with sturdy hardwood legs finished in a Dark Espresso stain, and foam padding creating body contouring comfort. The LAD-618-C set of chairs offers great value to make an easy statement in your home. Style your home with this inviting chair from the CorLiving Collection. Sink effortlessly into comfort with the LAD-705-C tub chair with its gentle curved back and sloping arms. Wood frame construction gives a sturdy foundation of support while the durable and stylish black bonded leather upholstery is complimented with paneled detailing. Revive your living space with this versatile chair, offering great value and a timeless look that makes the most of your home setting. Style your home with this inviting chair from the CorLiving Collection. Sink effortlessly into comfort with the LAD-708-C tub chair with its gentle curved back and sloping arms. Wood frame construction gives a sturdy foundation of support while the durable and stylish dark grey fabric upholstery is complimented with double stitched detailing. Revive your living space with this versatile chair, offering great value and a timeless look that makes the most of your room setting. 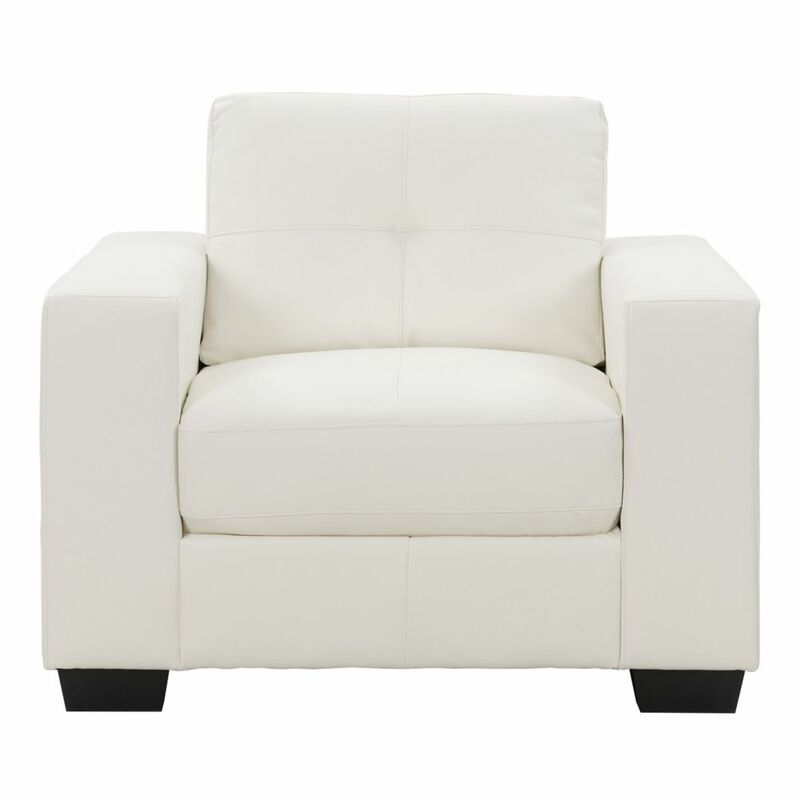 Club Tufted White Bonded Leather Chair This contemporary chair from CorLiving celebrates style and comfort in a modern design. This finely upholstered chair delivers reliability through the durably crafted wood frame, while generous foam and fibre batting cushion provides the ultimate in comfort. The four sturdy legs give the chair grounded stability and the padded, slightly angled backrest makes it a treat to lean back and relax in style. The removable backrest allows this chair to be more easily moved through door frames.